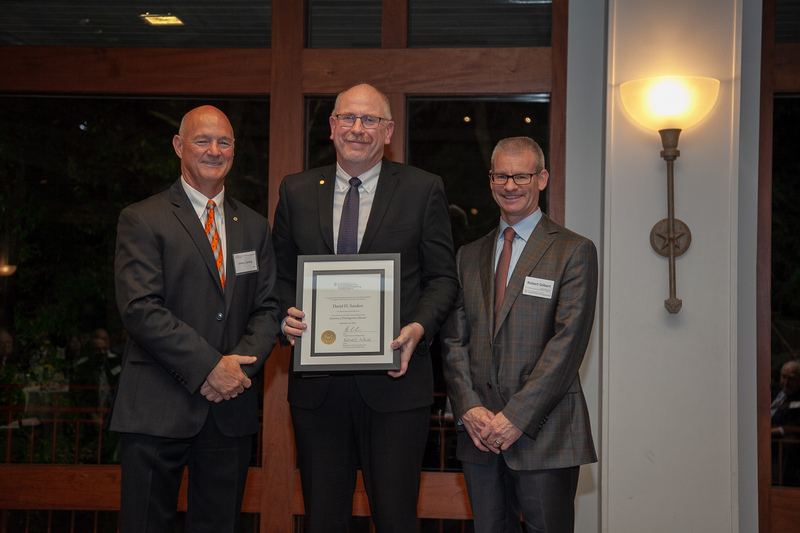 On Friday, Sept. 28, the University of Texas at Austin (UT Austin) inducted Greenwood Department Chair David Sanders into its Civil, Architectural and Environmental Engineering Academy of Distinguished Alumni. Sanders earned both his master’s and doctoral degrees at UT Austin in 1986 and 1990, respectively. Induction ceremonies took place at UT Austin’s Etter-Harbin Alumni Center. The Civil, Architectural and Environmental Engineering Academy of Distinguished Alumni was established to recognize the professional achievements and contributions of UT Austin graduates. The members of the academy also serve as leaders and role models among alumni and students. 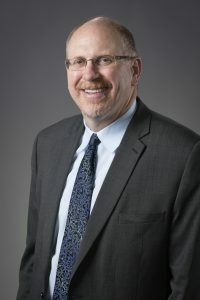 Sanders is the Greenwood Department Chair of Iowa State University’s Department of Civil, Construction and Environmental Engineering (ISU CCEE). He has held the chair position since July of 2018. He has published more than 300 research publications and given more than 200 technical presentations. Sanders has earned over $15 million in research as a principal investigator or co-principal investigator. His research centers on the behavior and design of structural concrete with an emphasis in the seismic design of bridges. He is an active teacher and has mentored 57 successful doctoral and master’s students as an adviser or co-adviser. Sanders is a fellow in the American Concrete Institute, the Structural Engineering Institute and the American Society of Civil Engineers. He is very active in professional organizations, including being a member of the Structural Concrete Building Code Committee and a chair of one of its subcommittees. Sanders is a 1984 civil engineering alumnus of Iowa State University. Prior to his tenure at ISU CCEE, Sanders was a university foundation professor at the University of Nevada Reno’s (UNR) Department of Civil and Environmental Engineering, where he also served as the chair of the UNR Faculty Senate.